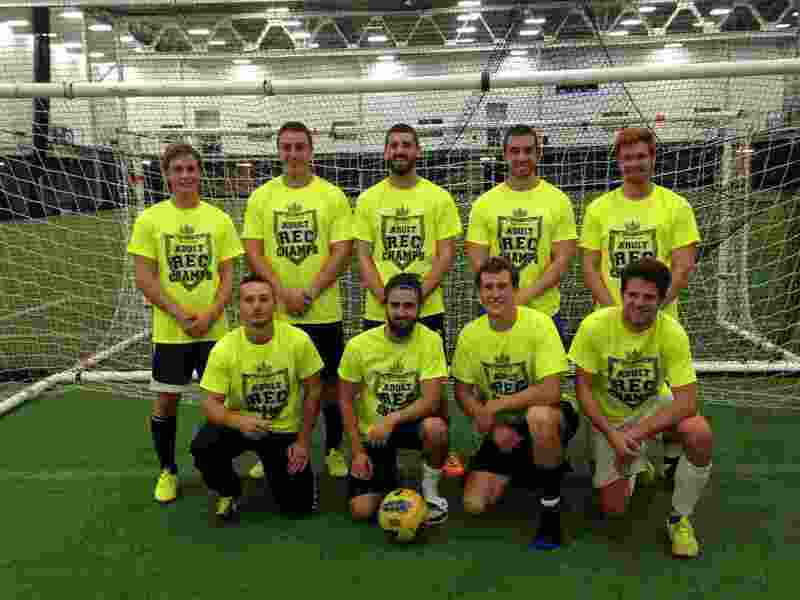 Adult rec leagues at Spooky Nook Sports in Lancaster, PA are an experience you cannot find anywhere else. Play the sports you love inside the largest indoor sports complex in the United States. We welcome adult rec leagues to hold their competitions in our expansive complex or individuals and teams can join one of our internal adult leagues. Spooky Nook Sports is a premier fitness facility where athletes of all levels can play, train and compete in a supportive, pleasant environment. We have 10 hardwood courts for basketball and volleyball and our versatile space can be transformed to accommodate up to 26 more full-size playing surfaces. Whether your rec league needs space for a single match or a location to host an upcoming tournament, Spooky Nooks Sports is the ideal location for it. Learn more about our internal basketball and volleyball adult leagues below. In addition to our basketball and volleyball courts, we have a sport court, which is the site of various sports matches. 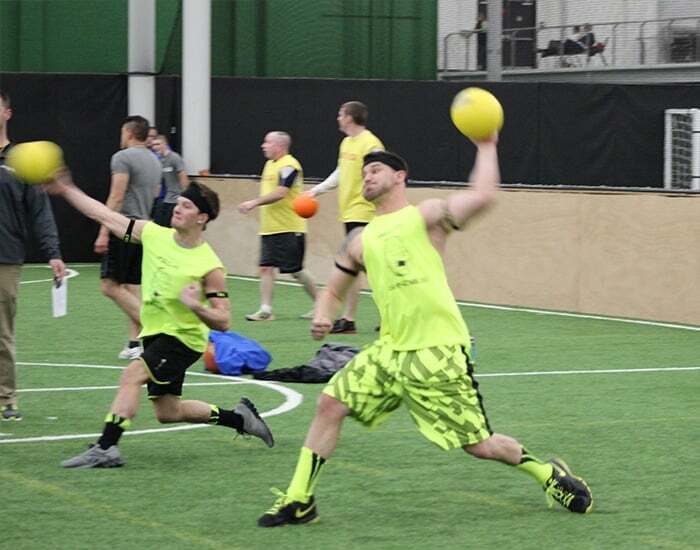 We also have three 60-foot by 120-foot enclosed turf fields where our internal adult leagues play dodgeball and two 120-foot x 200-foot turf playing areas in the field house where our internal adult leagues play soccer, ultimate frisbee and flag football. Our baseball and softball training center houses a full-sized infield and it even has room for outfielders. Do the members of your adult rec leagues need batting or pitching practice? Your team can use our 14 batting cages and three pitching lanes to get all the practice you need. We also have an outdoor field hockey pitch and a climate-controlled dome where adult rec leagues often play field hockey and where we host our overnight slow pitch softball tournaments. We also offer three beach volleyball courts which ae used for leagues, camps, clinics, and sports performance training. The outdoor courts are great for our summer sand volleybal leagues and are also available for rent based on availability. 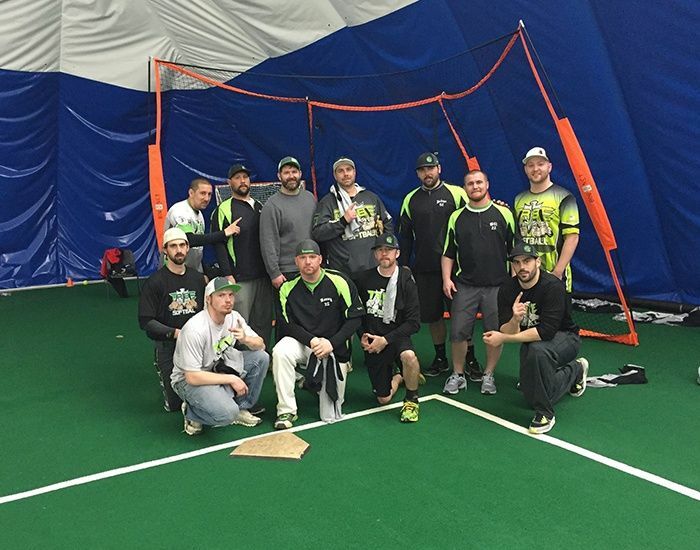 Spooky Nook Sports is a great place for adult rec league members to train. We have a 10,000-square-foot sports performance center that has state-of-the-art equipment, a 60-yard sprint track and a turf field that measures 30 feet x 10 feet. We also have a fitness center that measures over 60,000 square feet. Our fitness center is the home of the latest equipment, free weights, five group exercise rooms and a convenient child watch center. 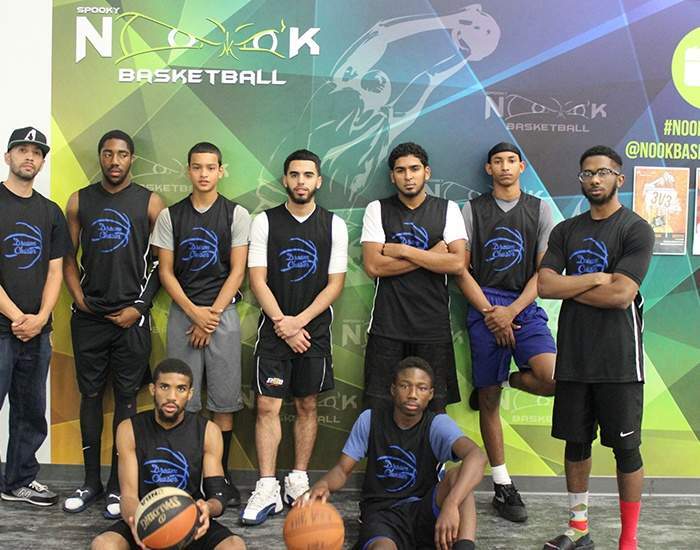 To learn more about Spooky Nook Sports and our adult rec leagues, continue reading below or contact us today. Our location in Manheim is convenient for athletes looking to join adult rec leagues near Harrisburg, Hershey, Lancaster, and Lebanon areas. What is a Free Agent?NewsletterWhy Join an Adult Rec League? Basketball leagues are offered in three seasons throughout the year – Winter, Summer & Fall. Leagues include a minimum of 9 games for every team with additional games available for teams who qualify. PIAA certified officials are used for all league games. Offering include Women’s Open, Men’s 30+ and Men’s Open with competitive and recreation division available depending on number of teams. Dodgeball is a popular game and easy to learn if you have never played. At The Nook, games are played on indoor turf fields. Balls are placed along the center line to start off the game. Following the official’s signal, teams rush to retrieve balls. The goal is to eliminate players on the other team by hitting them with a ball. Players can also get opposing players out by catching a ball that they throw. 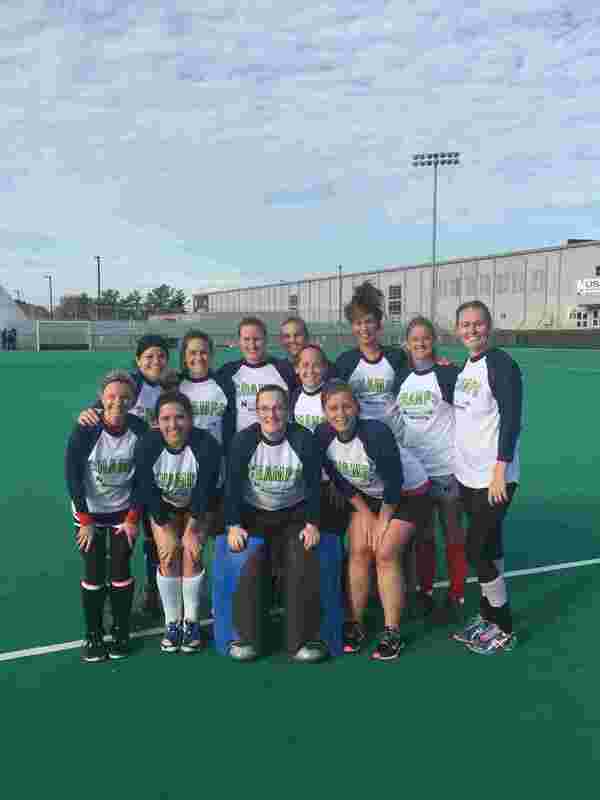 Played on the home field for USA Field Hockey, adult leagues are available in the Fall and collegiate pick-up in the Summer. The Fall Full-Field league is 11v11 gameplay and includes an 8-game season. Collegiate pick-up is offered 6-8 times each summer for high-level players looking to keep a stick in their hand in the “off-season.” All games and pick-up are officiated by certified officials. Flag Football is played like regular American football, except with flags. Instead of tackling, players pull each other’s flags. We offer an open division for the serious player or co-ed division for some recreational fun and a great workout! 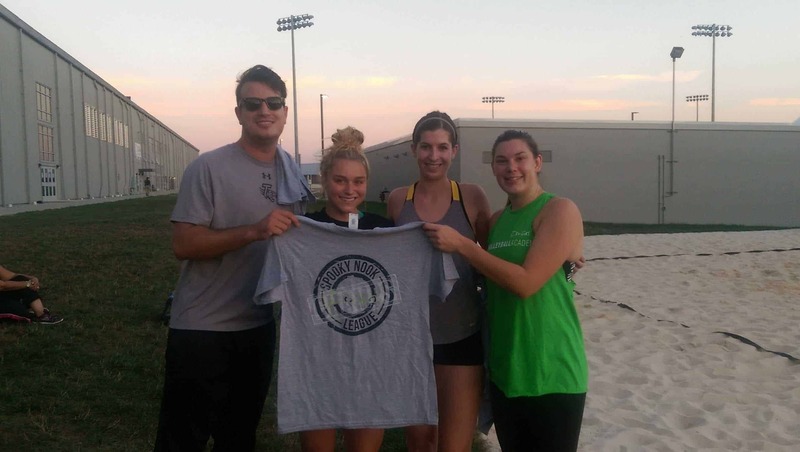 The coed sand volleyball league is available every summer and includes 2 guys and 2 girls on each team. Each team is guaranteed 8 weeks of games and is commonly followed up with a drink (or two!) at the Forklift & Palate Bar that is on site. Come out and enjoy a fun night of slow-pitch softball held inside the Spooky Nook Dome! Men's and coed teams are guaranteed a minimum of 3 games. Played in a 7v7 format (6 field players and a goalie), teams are guaranteed an 8-game season. Leagues are offered year-round and include Coed, Men’s and Men’s 40+. The coed league requires a minimum of two females on the field at all times. Games are played on our spacious fieldhouse turf with certified officials for every match. For those unfamiliar with Ultimate, the sport is somewhat similar to American football. The rectangular field has two end zones where goals are scored. A goal is made when one player completes a pass to another player standing in the end zone. 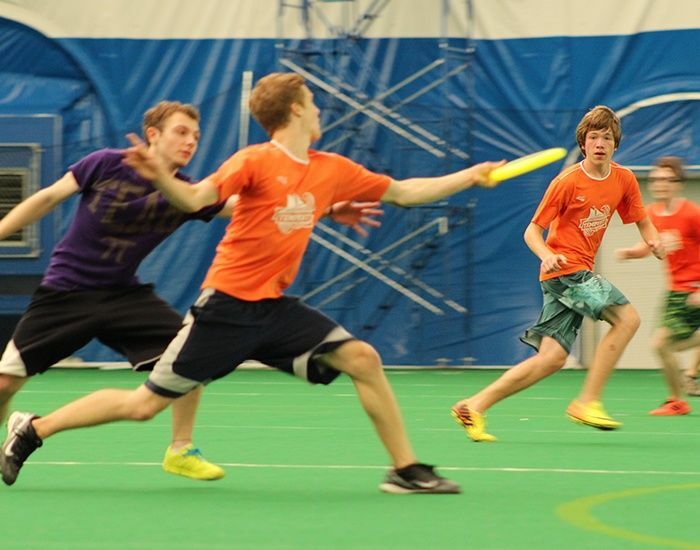 Players cannot run with the frisbee, but must pass it to advance up the field. 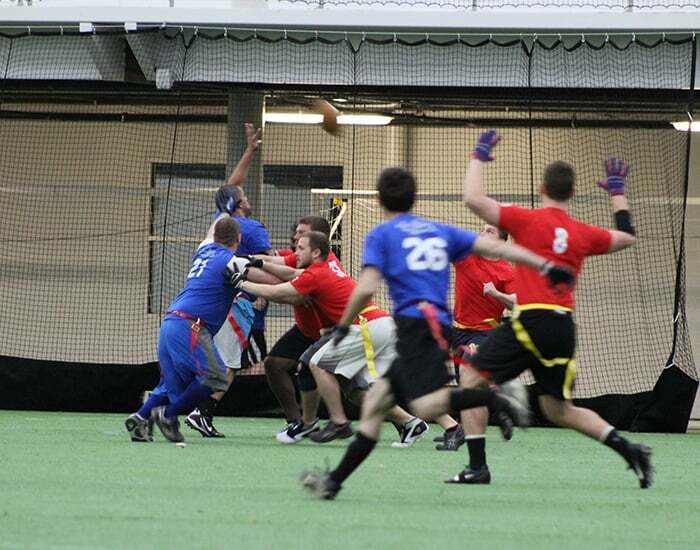 If the frisbee is intercepted or knocked to the ground, the other team takes possession. 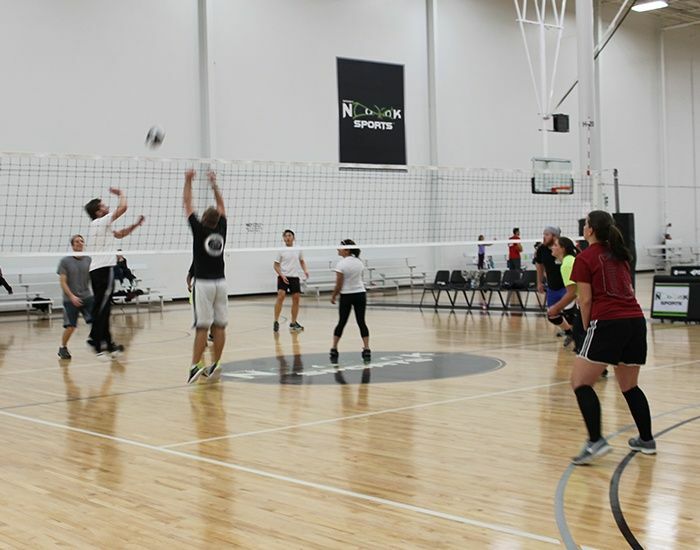 Indoor 6’s volleyball leagues run in the fall, winter and spring and include coed, men’s and women’s leagues. Matches typically last about one hour and include 3 games. Coed leagues require at least two females on the court at all times.